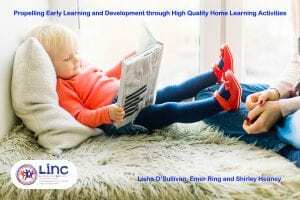 The recently published First Five: A Whole-of-Government Strategy for Babies, Young Children and their Families 2019-2028 underscores the substantial contribution of the home learning environment (HLE) to children’s learning and development1. This aligns with international and national longitudinal research findings, which continue to highlight that the HLE matters hugely for children’s engagement and achievement in early childhood and through primary and post-primary school2,3,4. Specifically, research has identified a range of particular home learning activities as being developmentally significant for young children including: talk; book-sharing; play and meaningful activities inside and outside of the home. Through encouraging parents to engage in such activities, early childhood teachers can support parents to build strong parent-child relationships and to provide children with the strong foundation needed for life-long well-being and achievement. The importance of highlighting the value of ‘talk’ for children in the early years cannot be underestimated. Language is consistently identified as a strong predicator of children’s engagement and achievement. We mustn’t forget that language functions as an important thinking tool, which supports children in reflecting on, and regulating their feelings, behaviour, motivation and thinking5. Use opportunities across the day, such as daily routines, for example, getting dressed, travelling to the early learning and care (ELC) setting or mealtimes to foster talk. Pick up on children’s interests- it is important to have something interesting to talk about and we all like to talk about things that interest us – children are no different! Resist the temptation to correct a child’s language and instead model appropriate language for the child. Emphasise sounds through singing nursery rhymes with the child or playing games such as sound bingo! Select books which are developmentally appropriate and reflect children’s genuine interests. Provide a range of different fiction and non-fiction books relating to children’s interests. Related non-book reading materials might appeal to some children, for example, reading the writing on the cereal box or milk carton. Make books available for children to revisit independently. Provide plenty time for children to engage in chid-initiated free-play. Provide a balance of toys and more open-ended play materials which are developmentally stimulating and reflect children’s interests. Show a genuine interest in children’s play interests. Join in children’s play as a co-player rather than as an instructor. Have fun and share in children’s enjoyment. Invite children to participate in routine household activities. Make tasks manageable, providing adequate time and parent support. Incorporate plenty opportunities for talk and social interaction. Draw children’s attention to the activity going on and interactions between people in various social contexts. Facilitate outings which build on children’s interests. Early childhood teachers have a wealth of knowledge and expertise which can support parents providing home learning activities which are meaningful for young children’s learning and development. It is encouraging that the First Five strategy sets out the ambition to support government funded ELC settings to meet significant quality indicators1. Given the associations between the HLE and child outcomes, enabling opportunities for more informal collaboration with parents and developing initiatives such as parent education or home visiting programmes, are critical to supporting parents in their important role as children’s primary educators. Opportunities to build strong setting-home relationships can also support early childhood teachers in continuing to enhance the quality of their programmes. Most importantly, supporting parents in propelling children’s early learning and development through providing high quality home learning activities has the potential to transform children’s and families lives for the better both now and in the future. 1 Government of Ireland (2018). First Five: whole-of-government strategy for babies, young children and their families 2019-2028. Dublin: The Stationary Office. 4Hughes, C., White, N., Foley, S. & Devine, R.T. (2018). Family support and gains in school readiness: a longitudinal study. British Journal of Educational Psychology, 88, 284-299. 5 Whitebread, D., Pino-Pasternak, D., & Coltman, P. (2015). Making learning visible: The role of language in the development of metacognition and self-regulation in young children. In S. Robson & S. Flannery Quinn (Eds. ), The Routledge international handbook of young children’s thinking and understanding (pp. 199-214). Abingdon: Routledge. 6Stewart, N. (2015). ‘Listen to my idea!’ Communication and language in the early years, In D. Whitebread & P. Coltman (Eds. ), Teaching and learning in the early years (4th ed)., (pp. 119– 135). Abingdon: Routledge. 8Gray, P. (2013). Free to learn: Why unleashing the instinct to play will make our children happier, more self-reliant and better students for life. New York, NY: Basic Books. 9Weisberg, D. S., Kittredge, A., Hirsh-Pasek, K., Michnick Golinkoff, R., & Klahr, D. (2015). Making play work for education. Phi Delta Kappan, 96(8), 8–13. 11Barker, J. E., Semenov, A. D., Michaelson, L., Provan, L. S., Snyder, H. R. & Munakata, Y. (2014). Less-structured time in children’s daily lives predicts self-directed executive functioning. Frontiers in Psychology, 5. 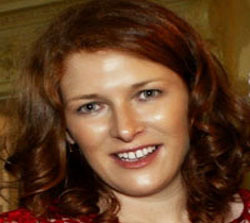 Dr Lisha O’Sullivan is a lecturer in the Department of Reflective Pedagogy and Early Childhood Studies at Mary Immaculate College. Lisha lectures across the BA ECCE, BA ECP and BEd programmes and supervises undergraduate and postgraduate research in the faculty. Lisha has worked as a module content developer on the Leadership for Inclusion (LINC) Programme. 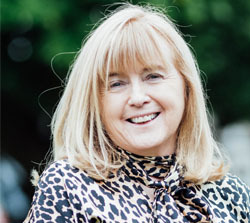 Prof Emer Ring is Dean of Education at Mary Immaculate College. Emer lectures across early childhood and teacher education programmes and supervises research from undergraduate to doctorate levels. Emer is a member of the Leadership for Inclusion (LINC) Consortium Steering Group. 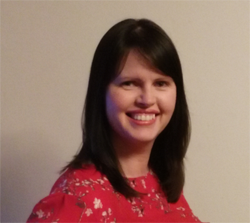 Shirley Heaney currently lecturers in the Department of Reflective Pedagogy and Early Childhood Studies in Mary Immaculate College and has worked on the Leadership for Inclusion (LINC) Programme both as a programme content developer and as a tutor. Shirley is presently completing her Ph.D. on the well-being of children with additional needs in the Early Childhood setting.